Who else is going back to school tomorrow? I'm depressed! Christmas break flew by and I could definitely use another week (or two!). 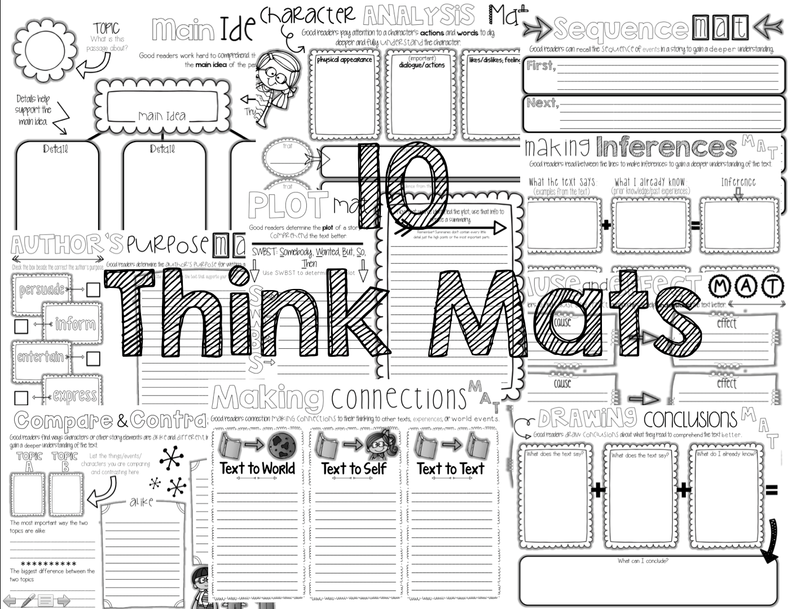 I'm trying to get back in school mode, so I decided to think of a way to spice up boring graphic organizers, which my students refer to ask "worksheets". 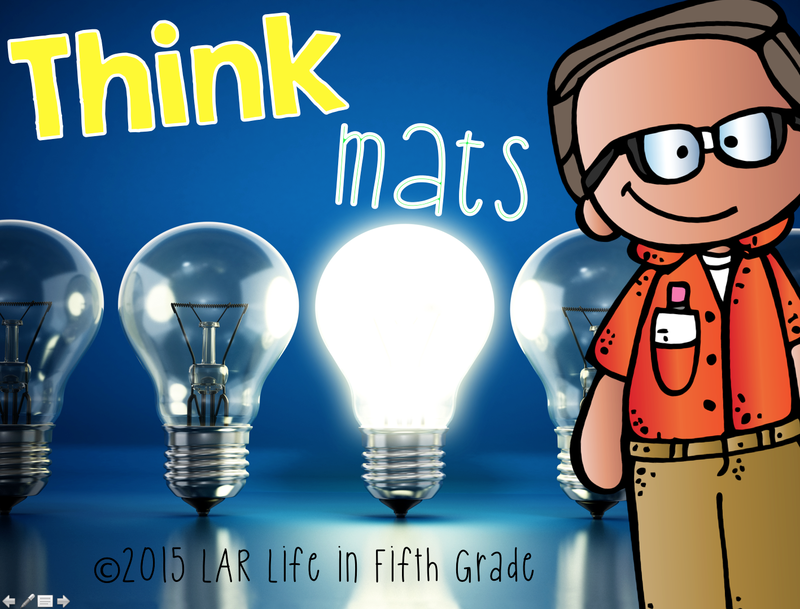 I created these think mats in order to breathe a little life into the same ole thing. 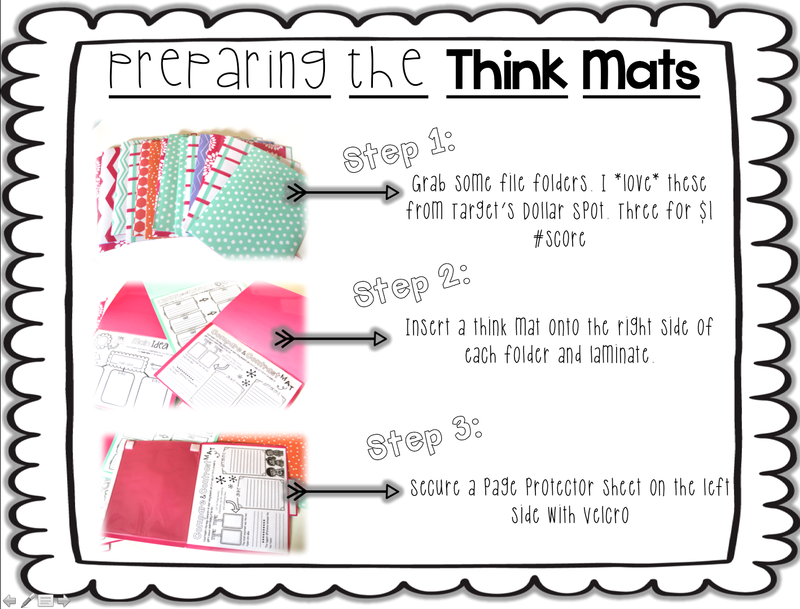 These Think Mats are really easy to prepare and can be used over and over! Very cool idea! This can be tweaked for a lot of things! These are fantastic! 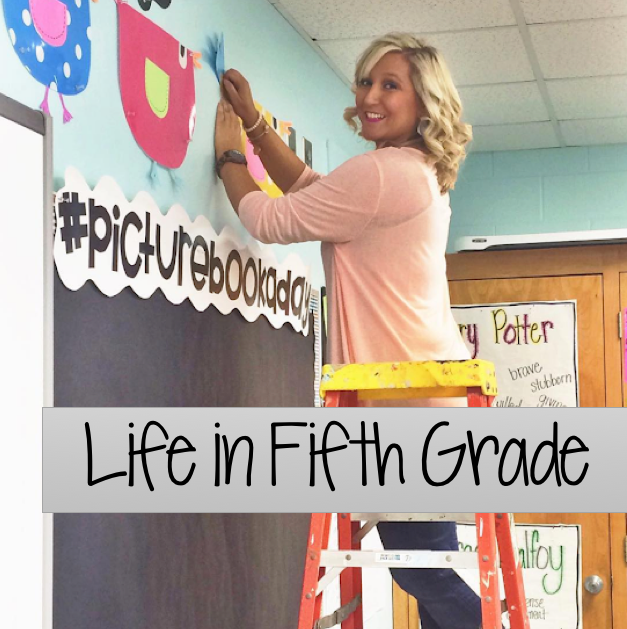 I was wondering, where do you find your articles for your students to use? I love your resources! This is an awesome idea! It will be so easy to use in my reading groups. Thank you for sharing! These are great! I love following your blog. How would you grade them? Do they erase easily? 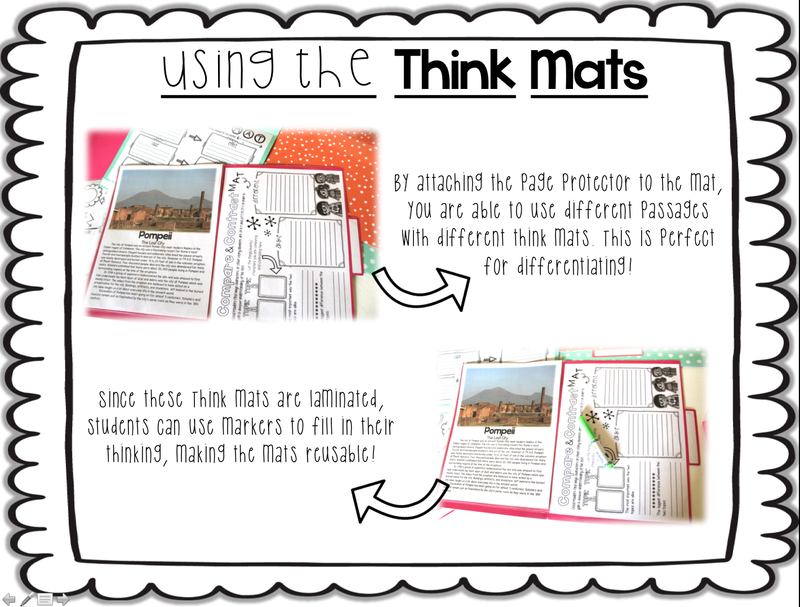 I guess you found the inspiration to finish your "latest TPT creation" in 2015 I am glad since I am going to benefit from this--I love them and it does make reading skills so much more interesting. I think it is wonderful that they fit with your NF reading passages so well.